He has more tip to tip symmetrical horn spread than any show champion in history. 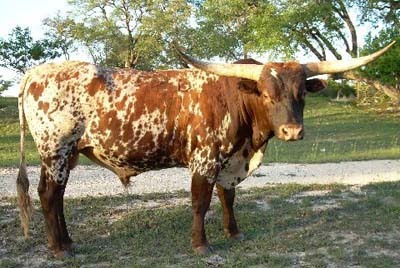 He weighs over a ton and has over 73" T2T horn. He's a beautiful black, gold, white and bronze brindle. 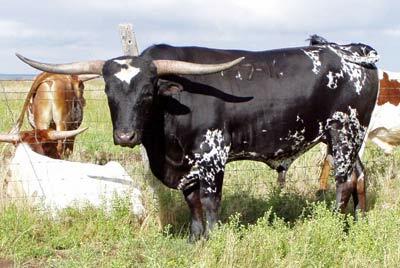 Great family disposition and International Jr. 2000 Bull Champion. He's by Gizmo an out of Sadie Sam who is by Not Gunna and out of a Senator daughter. He's one of the great DCCI blend genetics that replace many before him. 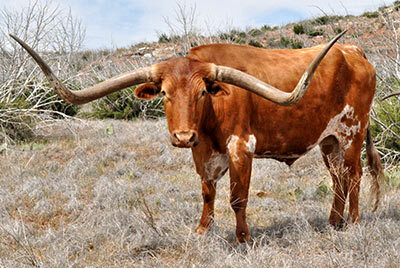 No bull in this breed has the huge hip and trim conformation combo like Winchester and his sons. 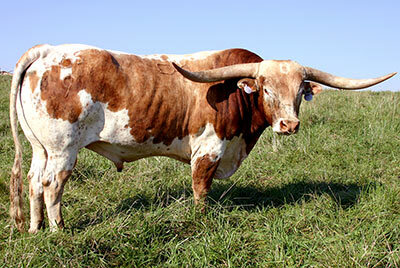 He has been used for embryo transfer and has embryos shipped to Europe. As a complete bull he had more of everything than any other bull before him. He is the sire of International ITLA Champion Jester and DCCI sire Win Win.